"It’s been a great experience and I wish I could stay..."
The Au Pair in France program serves the needs of French families in the Languedoc region in the south of France who need childcare assistance. Au Pair candidates are matched to Host Families based on mutual objectives. 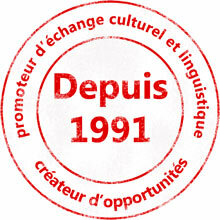 Host families initiate the exchange by selecting a particular candidate. Specific arrangements are decided upon by both parties. The program's overall objective is to increase the Au Pair's appreciation for French language and culture while facilitating international understanding. The French Host Families are seeking quality live-in childcare and contact with English-speaking young people for their children. The Au Pair, typically a conscientious young woman, aged 18-25, with French language proficiency and childcare experience, wants to become completely immersed in France and its culture. The French-American Center attempts to bring together these two parties for a mutually rewarding experience. Our branch office in Montpellier screen Host Families and their applications. Based on matching criteria, Au Pair candidates are proposed to Host Families. The Host Family will contact the Au Pair candidate to discuss specific arrangements. When the Host Family makes a final selection, a standardized Au Pair contract (Accord) and a formal letter of invitation are signed, certified by the French Department of Labor and sent to the Au Pair candidate. Transportation arrangements and exact date of arrival, as well as other details, are determined by mutual agreement between the Host Family and the Au Pair candidate. 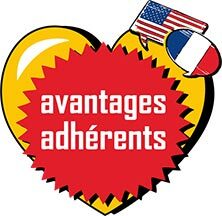 The French-American Center acts as an intermediary to aid in the selection process, assists with travel arrangements through our Official Airline, then gives support and counseling during the Au Pair's stay in France at the branch office nearest the Host Family. 1. Fill out the Application Form neatly and accurately, attaching to it all the elements required. You should submit a page album of personal photos showing you (with children), your family and friends. Please note that these photos can not be returned to you. The better your Application, the easier and quicker the Center can place you with a Host Family. Incomplete or poor applications will not be accepted. 2. Attach an International Money Order or Cashiers' Check for $180 to cover your $120 membership fees in the French-American Center (non-reimbursable) and $60 Au Pair in France application fee (reimbursable, if we can not place you in a Host Family). 3. We will submit your application to interested Host Families. Here is what you need to obtain your visa to be an au pair in France. First choose your local embassy from this list and then either contact them or download the papers from thier site. Bring clothes that you can mix and match with a lot of things. Pack less than you usually would! You're going to want to buy gifts and souvenirs that you will have to bring back with you in your suitcase! So make room for them before hand. Bring books and music in English, sometimes you will have cravings to see and hear your own language. Ask a lot of questions even if that means making a few mistakes while speaking! try to speak to yourself in French as much as you can before, during and after you come to France. Pick up the book entitled: Harper Collins Language Survival Guide: France. I always kept this handy book in my purse. It was a life saver! Keep a well documented journal of feelings, excursions and names of places visited everyday. and take a lot of pictures! You'll be grateful for this after you return home!